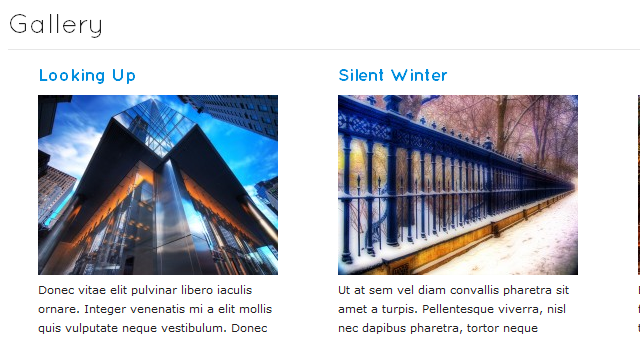 A clean and professional looking WordPress theme. 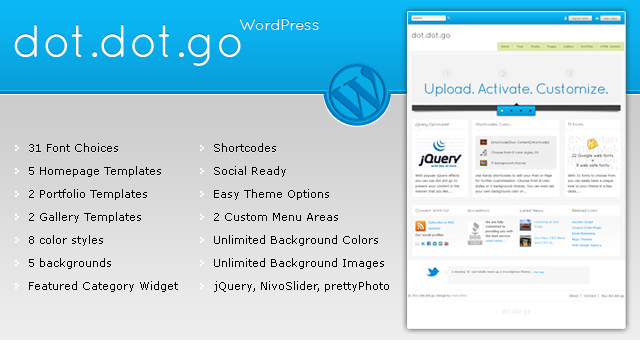 With up to 5 custom homepage templates, 2 gallery templates, 2 portfolio templates and much more dot.dot.go provides you a great platform to take your website and business to the next level. 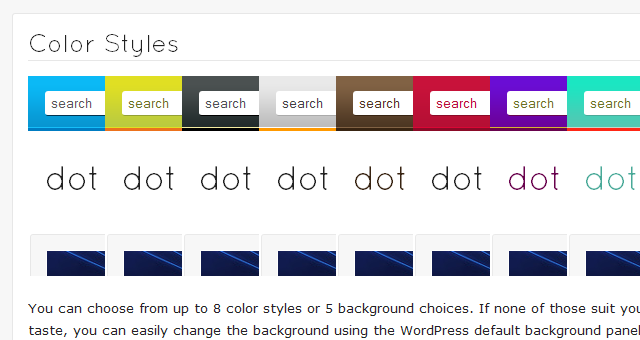 The WordPress version of dot.dot.go has an extensive theme options panel that can be used to customize almost every aspect of your theme. 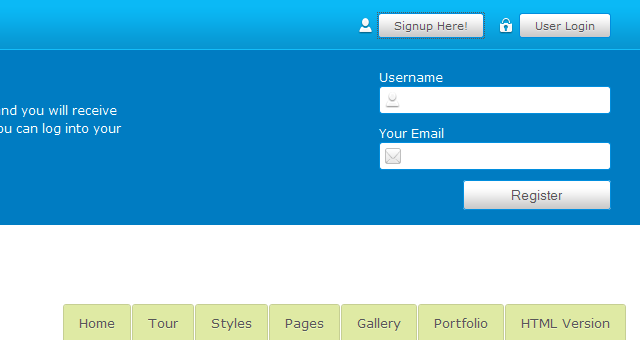 To view a screenshot of the options panel click here. Documentation is provided within the theme itself, so you never have to leave WordPress. Layered PSD of main Home and inner Page included! Please note: These are the HTML previews. The WordPress version looks exactly the same. 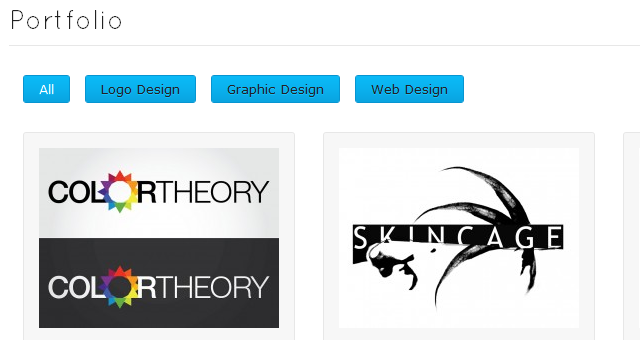 If you require customizations please get in touch with me via my profile page.